Please read the following booking conditions carefully and make sure you understand them before booking your holiday as reservations are undertaken by Tailor-Made Journeys Pty Ltd trading as South America Travel Centre on the basis that you have accepted these conditions. Payment of a deposit indicates the Customer’s acceptance of the Booking Terms & Conditions. Different Products may have specific terms and conditions, deposit requirements and cancellation charges applicable to each product. These will be communicated during the quoting and booking process. We can provide a written quote in relation to a price for your Travel Arrangements. The quote is *valid for a period of 7 days. *Please note some prices may be subject to confirmation when booking a long time advance. in full. If you are booking an Antarctic cruise there will be additional/specific deposits (usually 20% of the voyage cost) just for the cruise. We also require your full names as per passport to secure the booking. There may be additional deposits depending on the policies of the Supplier of Products being booked. Any additional deposits will be advised at time of booking. Booking requests within 75 days prior (125 days for Antarctica cruises) to your departure must be accompanied by full payment and may be subject to additional fees. Travel Arrangement prices are quoted for the entire package of services and itemised component costs cannot be given. 3.1 Costs are based on ‘ground costs’, airfares and exchange rates at the time of booking. While we make every effort not to increase prices, increases in hotel rates, airfares, entrance fees, fuel costs or increases in ground operator or government fees may occur and we reserve the right to amend our prices prior to having received full payment for your booking. Acceptance of this arrangement is an express condition of making a booking. If the ‘ground cost’ does increase your Australian dollar price will be calculated using the exchange rate used at time of booking, i.e. there is still no currency surcharge. Once you have paid your deposit we Guarantee not to apply a currency surcharge. *This does not apply to quotes/bookings made in US dollars, e.g. Antarctic or Galapagos voyages or other product sold/quoted in US dollars. not mentioned in the itinerary, beverages, and gratuities are not included. It is a condition of booking with South America Travel Centre that you take out comprehensive travel insurance for the full duration of your holiday. We suggest that you take out insurance at the time of booking and that the policy should include, but not be limited to, the following features: loss of deposit through cancellation; injury; death; theft; loss of luggage and personal items; curtailment of tours en route; medical expenses; cancellation of advance purchase airfares; additional expenses to cover hotel accommodation and repatriation costs to Australia should your tour need to be extended or curtailed due to illness while overseas, or due to a need to return because of an unexpected death or illness of a close relative. Transfers made more than 70* days prior to departure – $220.00 per person plus any applicable airfare charges. Transfers made from 70 days up to original day of departure – charged as per cancellation fees. *Many cruises and some lodges, in particular in the Amazon, Patagonia, Atacama and Antarctica, require transfers to be made up to 120 days prior to departure. You will be advised at time of booking of the individual conditions. It is possible that circumstances beyond our control may necessitate a route or itinerary change and, in the event of such an occurrence, we reserve the right to cancel or re-schedule tour departures and itineraries. Where it is necessary to change a hotel, we reserve the right to substitute accommodation of a similar standard. No refund will be available in the event of an itinerary or hotel change. If it becomes necessary for you to cancel your tour, you must notify us in writing. Upon receipt of your notification, cancellation will take effect. If cancellation occurs 70 days* or more prior to the scheduled departure you will forfeit your deposit and be liable for any penalties levied by hotels, ground/cruise operators and/or airlines. If cancellation occurs 69 days or less prior to the scheduled departure no refund will be made. Notwithstanding that, South America Travel Centre will, if possible, and at its sole discretion, consider refunds as circumstances reasonably permit. *Many cruises and several lodges, in particular in the Amazon, Galapagos and Antarctica, require cancellations to be notified 90 to 180 days (dependent upon operator) prior to departure. You will be advised at time of booking of the individual conditions. South America Travel Centre has the right in the case of force majeure (e.g. war, uprising and, natural disasters, abnormal/exceptional weather and ice conditions, legal stipulations of the local/regional authorities and other “acts of God”) to cancel your trip. South America Travel Centre may not be held liable for any claims made due to force majeure. If situations of force majeure occur during the trip, South America Travel Centre or its representatives will try to offer an alternative program. If this should prove impossible, either South America Travel Centre, its representative or you are entitled to cancel the trip. In such a case, South America Travel Centre cannot be held financially liable. South America Travel Centre or your travel agent is obliged to assist you in obtaining a return transport/flight; however, in such case you are responsible for any costs incurred. South America Travel Centre is not liable for costs incurred by you in preparation of the tour, nor for reservations of travel components (such as, but not limited to, flights, hotels, connecting programs, travel insurance), which are booked elsewhere in combination with the arrangements booked with South America Travel Centre. It is your responsibility to inform South America Travel Centre of any pre-existing medical conditions and/or disability that could reasonably be expected to affect your booking (consideration should be given to any conditions that could be exacerbated by travelling at altitude; Cuzco, Lake Titicaca and La Paz in particular), as well as the enjoyment of others on the trip. You may be asked to provide an evaluation of your medical condition and/or disability by a certified medical practitioner (it is a condition of booking a trip to Antarctica that all clients complete a Medical Form). Based on this evaluation, South America Travel Centre reserves the right, at its reasonable discretion, to refuse your participation on a trip and/or cancel your booking. You should familiarise yourself with any health or visa requirements that may be applicable in the areas you intend visiting, and you shall be responsible for all exit, entry, health and other documents required by laws, regulations, orders, demands or requirements of the countries visited or transmitted. You shall carry a valid passport at all times. Passport, visa and vaccination requirements are not our responsibility or that of your agent and we are not liable for any loss or expense due to your failure to comply with the above. 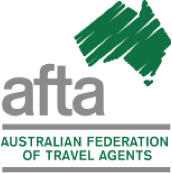 We recommend you contact the Australian Department of Foreign Affairs and Trade (www.smarttraveller.com.au) for current official travel advice concerning the countries you will visit. It is your responsibility to check all air tickets and vouchers immediately upon receipt and to contact us immediately if you believe any bookings have been made incorrectly or necessary documentation has been omitted. Please note that route maps provided by us are for general information and may not necessarily indicate exact routes. South America Travel Centre has done its utmost to ensure that all tour descriptions, information and documentation issued is accurate in any printed or online media, brochure or publication. This information provided is given in good faith; however, things change and some of the information may become out of date. South America Travel Centre shall not be liable for any injury, damage or loss caused by any unintended inaccuracy. South America Travel Centre brochures and web site are not issued on behalf of and does not commit any airline whose services are used in the course of our tours, such services being subject to the airline’s conditions of contract. These booking conditions form part of the general conditions. Payment of a deposit is an acknowledgement that you have read, understood and accept the terms and conditions of Tailor-Made Journeys Pty Ltd trading as South America Travel Centre and that we act only as an agent for carriers, hotels, ground operators, coach companies and suppliers of other travel services (suppliers) used on these tours. All bookings are subject to the terms and conditions of the liability imposed by the other suppliers, some of whom limit or exclude liability in respect of death, personal injury, delay, loss of or damage to baggage. All tickets, vouchers and documents are issued subject to the terms and conditions under which the suppliers provide the services. We accept no responsibility for carrier-caused delays, schedule changes, sickness or accidents. You accept that you may be travelling through areas of political or climatic instability, high altitude and remote areas, and areas without proper medical services, and you accept the associated risks. Should we deem it desirable for political, climatic or other reasons to amend or vary any itinerary we may do so by shortening, varying or completely re-routing the trip in which case no objection will be made by the participant. You authorise the company and its suppliers to take all necessary action in respect of medical treatment and emergency evacuation and agree that all associated costs are to be paid by you. The terms and conditions are incapable of alteration or waiver by us or any agent and by making a booking you, your next of kin, heirs, administrators and executors accept all the conditions of contract and are bound by them. In the unlikely event that you should have a complaint about your services offered by South America Travel Centre, we urge you to bring this up with your guide, the tour/expedition leader or company representative immediately so that we can attempt to rectify the issue. If at the end of the trip you feel that your complaint has not been adequately dealt with, please notify us as soon as possible, and no later than 30 days after the end date of the services South America Travel Centre has provided.